Back again for a new dev blog and some sneak peeks. I’ve had my head down, heavily focused on the next major mission update level tentatively called “Vertigo” for the past few weeks. Progress has been steady, but I am happy to say it’s layout complete at this writing. Vertigo will be featured in an upcoming single player mission, as well as support all current and future game modes. It’s the largest planned level for the entire game. 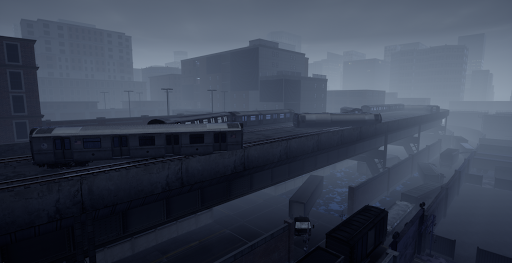 Vertigo features 4 major themes which are a large scale office building, an above ground metro rail (derailed) scene, a downtown city area, and a factory district with trainyard. It’s an ambitious undertaking, but I felt the desire for a large scale map like this was what the community would really want in a game like ours. We don’t want to give away too much just yet, but here a few teaser shots to show current progress. 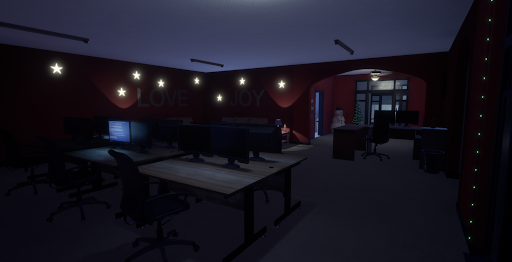 I’m focusing this week on mood and lighting, you’ll also notice the timeline in the story takes place around the holiday season, enjoy! First and foremost, I was able to push out Update 3 (Steamcommunity.com) after polishing up the Tutorial some more and getting all the localizations for the subtitles into the game. Afterwards, I worked mainly on bugs that came from the Update 3 release, ended up working on and pushing out Update 3.1 (Steamcommunity.com) (new naming convention for hotfixes) which addressed a few minor issues. Other than bugs? I worked on Update 4 stuff like Resource Gathering, Storage and Crafting which you can see in the Update 3.1 Steam announcement. 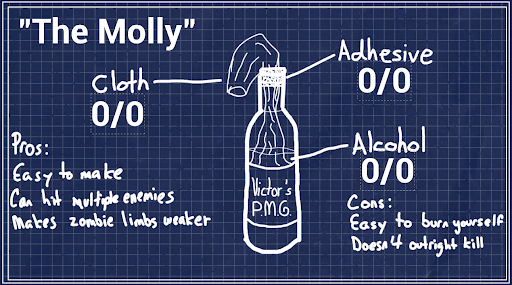 The first test of the system was “The Molly”, basically your standard Molotov Cocktail. Needs some love from the art department, but got it working relatively well for a first pass. Also worked on “The Stinger”, a baseball bat with nails. The past week I've been helping Brian changing over the audio logic in various actors from using the built-in UE4 system to Wwise. 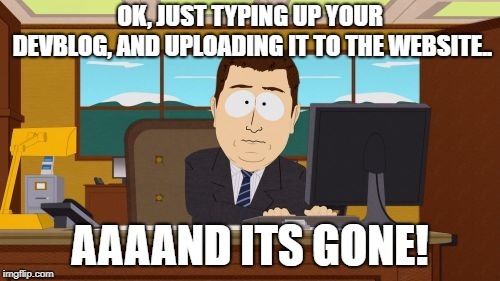 It isn't super difficult, but it is kind of messy, so it's not the fastest going work. I've also been working on some props for the next mission. A radiator cap and a bottle of "pink" medicine. What could they be for? Only time will tell! With those completed, I've jumped back on to the shooting range, which should be fully armed and operational shortly. Stay tuned for some cool updates from that direction! 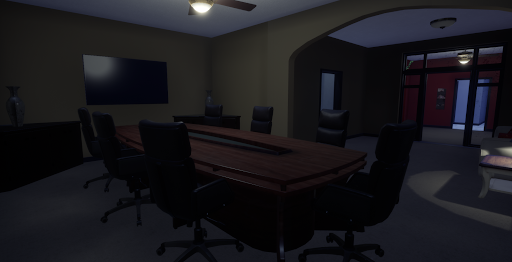 For this week I swapped out UE4 Dialog Audio and replaced with improved Wwise Events with directional audio, reverb effects, and some missing lines. I’ve also added impact audio to all melee weapons for different materials with a focus on fleshy impacts making them much more visceral. We still have quite a few assets and levels using UE4 and with us implementing Volume controls in the near future I’ve been replacing all UE4 with Wwise Events. This will also help with auto-ducking so Dialog is drowned out by the environment. Nah just kidding ;) been sessioning away at the second part of campaign mission 2 part 2 (That's right, you heard me, two parts! Day and night as well, awww yeah!). It’s really cool to see it all coming together, and coming to life as we integrate each of Paul's animations, and growing in detail with Jason’s detailing and iteration. there’s still much to be added and iterated upon but its getting there! It’ll be great to see how you all get on surviving (or not) the apocalypse with your brother Ken. (didn't know you have a brother Ken? Well, you do now! And man will it be an adventure...) Not going to give away spoilers more than that though, you’re just going to have to wait and see hehe..